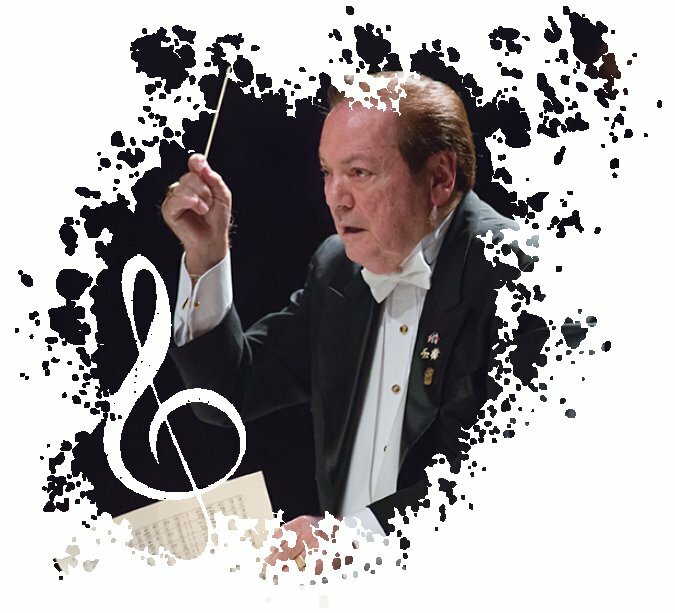 Symphony of the Americas, one of Broward County’s designated Major Cultural Institutions, is celebrating its 30th Anniversary this season under the direction of its founding Artistic Director, Maestro James Brooks-Bruzzese. Born and raised in Panama, the Maestro’s vision has guided the Symphony in its outreach both at home and abroad, with the orchestra’s legacy captured on PBS, and more than 30 compact disc recordings. Founded as the Sinfonia Virtuosi & Chorus of Florida, the orchestra was honored to perform the gala opening concert of the Amaturo Theater at the Broward Center for the Performing Arts in 1991, with German powerhouse pianist, Michael Ponti. The BCPA has since become the symphony’s performance home, with Latin Grammy Award winning composer, Eduardo Magallanes, serving as Composer in Residence. Committed to serving South Florida’s multi-cultural population, the Symphony features an International Guest Artist Series, encompassing classical music gems, ballet soloists, the pulses of tango, mesmerizing acrobats of Cirque de la Symphonie, toe-tapping Broadway, and the rhythms of Spanish Zarzuela. World-renowned musical talent who have appeared with Maestro in these genres include YoYo Ma, Eugenia Zukerman, Emanuel Ax, Joaquin Achucarro, Yefim Bronfman, Roberta Peters, Dimitri Ashkenazy, Bella Davidovich, Doc Severinsen, Phyllis Diller, Mariah Carey and hip-hop artist Nelly, among others. Also known for its work in the Americas as well as Florida, the Symphony, through its Summerfest cultural exchange performances, has featured Italy’s I Musici, the Hungarian Virtuosi, Mendelssohn Chamber Orchestra and others joined by principal musicians of the Symphony, in 15 countries around the world. Here at home, the Symphony’s educational and community outreach includes student master classes with guest artists, as well as hands-on musical instrument explorations at in-school presentations and family parks performances. The orchestra’s musicians also mentor youth in individual instructional settings. Full orchestra performances for Broward County school students, such as Music at the Speed of Sound, Star Wars and More, Broadway Goes to the Movies, Beethoven Returns, The Everglades Symphony (including a swamp walk with Clyde Butcher) and more, introduce thousands of young people to the magic of music every year. The Symphony also works with Boys & Girls Clubs, Rotary International, Sister Cities, as well as several colleges, museums, and city municipalities in South Florida, creating a musical legacy serving the entire community. Recently, the Maestro was honored by the Hispanic Heritage Awards at the Kennedy Center for his work and mentoring of young people, both at the Symphony’s performance residency in Haiti, as well as this year’s Amistad en Accion program in El Salvador. Chosen for a partnership grant with the US Embassy to mentor the Don Bosco Youth Orchestra, principal musicians of the Symphony coached the young musicians on musical technique and life goals, and also introduced them to the rhythms of American music in rehearsals and side-by-side performances throughout the country. In honor of Symphony of the Americas’ 30th anniversary, acclaimed French Artist, Jean Claude Gaugy, who also serves on the Symphony’s Artistic Advisory Committee, and was mentored by Salvador Dali, has honored the Symphony by creating an original retrospective piece, which captures the spirit of Symphony of the Americas’ rich legacy. For more information on the Symphony’s 30th anniversary season, including its innovative Sunday evening Haller Serenades@Sunset concerts atop Pier 66 (named as Ft. Lauderdale’s Best Concert Series), please visit symphonyoftheamericas.org.